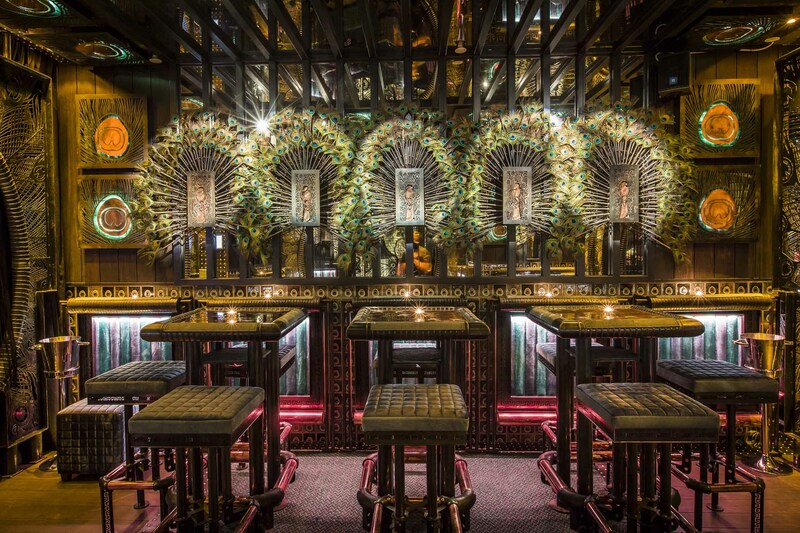 Ophelia in Wan Chai demonstrates Ash Sutton’s flair for designing venues with a difference. 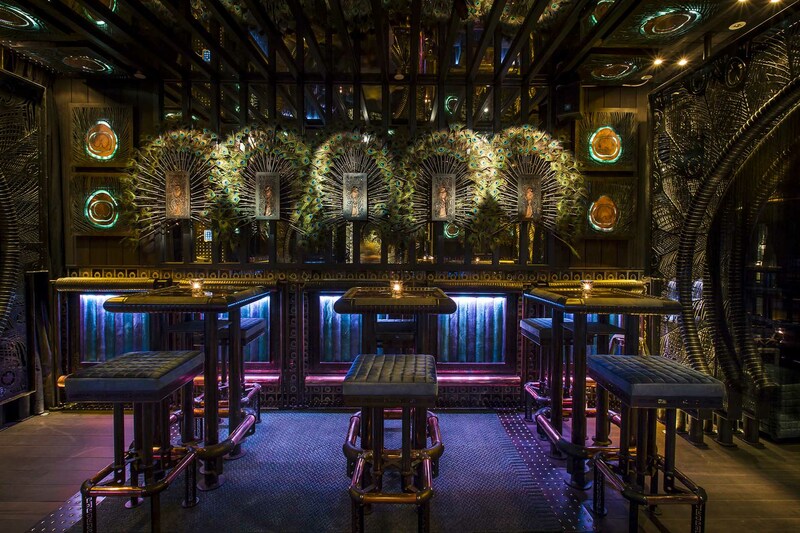 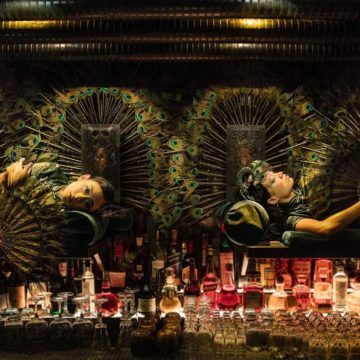 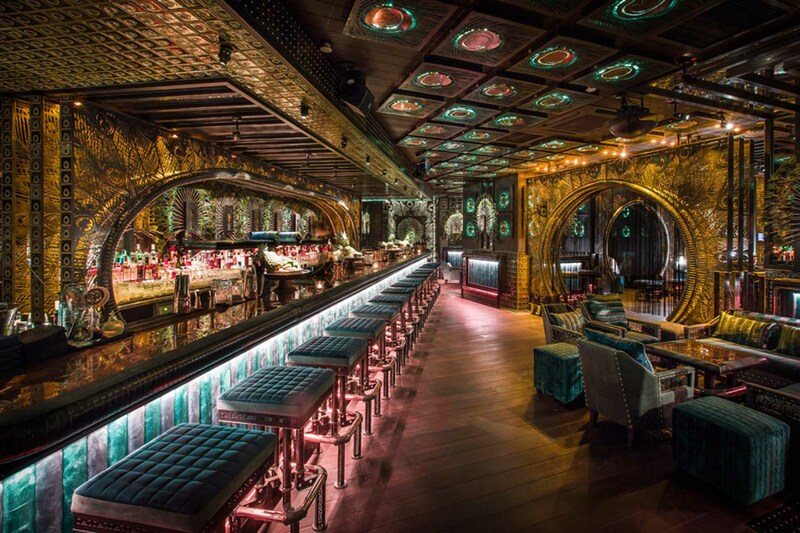 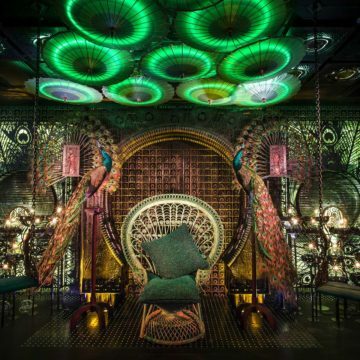 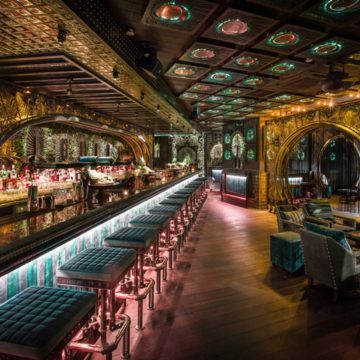 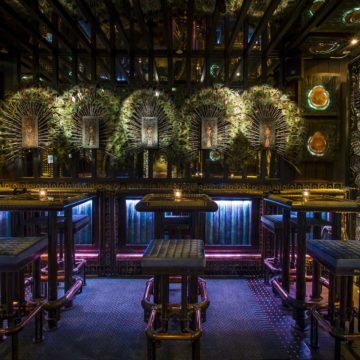 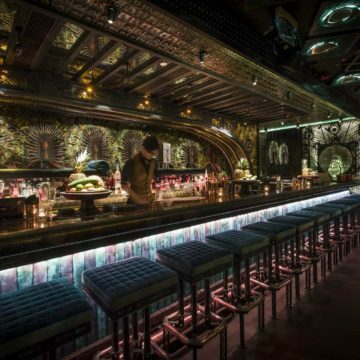 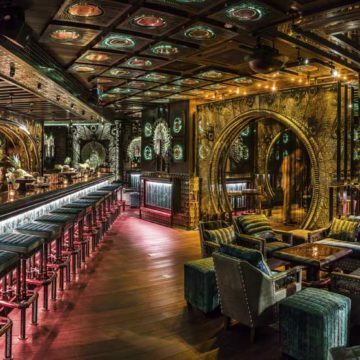 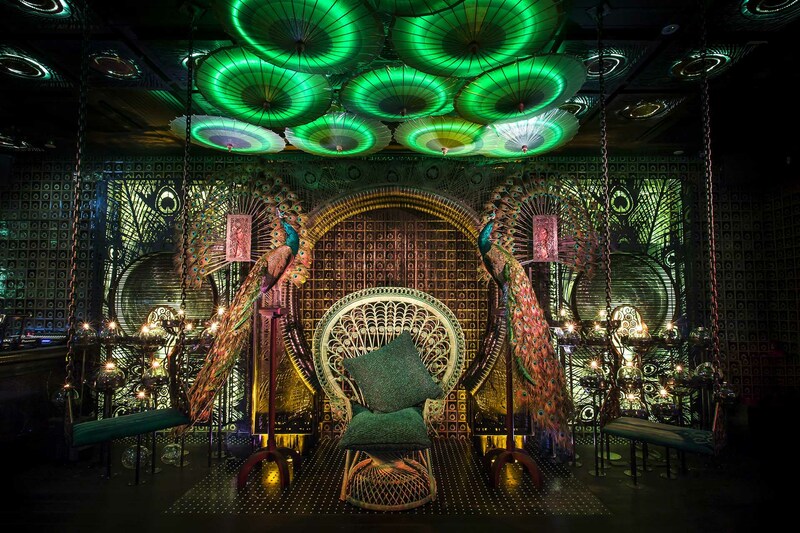 Based around the story of Mr Wong, an ancient bird collector who one day received a stunning Javanese Peacock called Ophelia, the unique concept interior design draws from Hong Kong’s vibrant history. 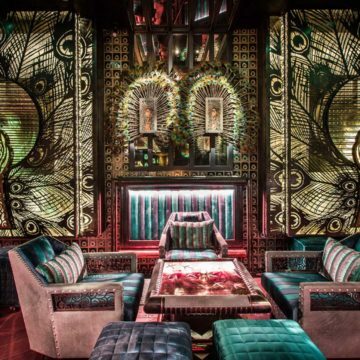 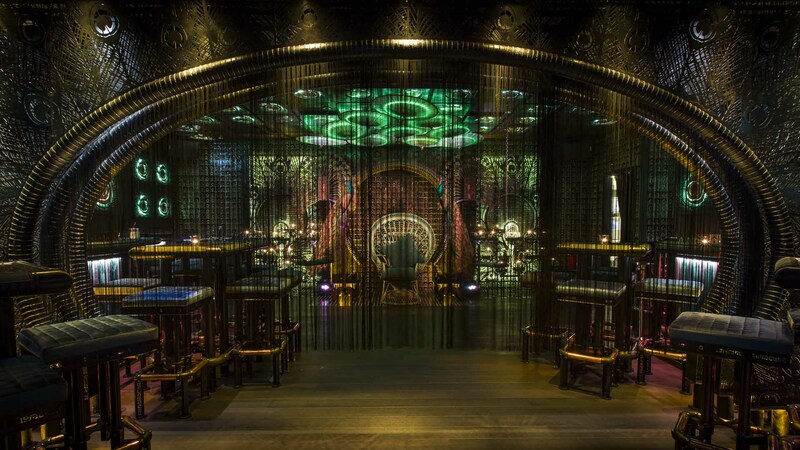 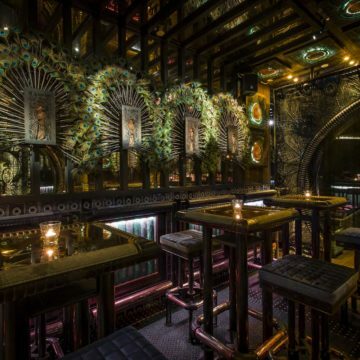 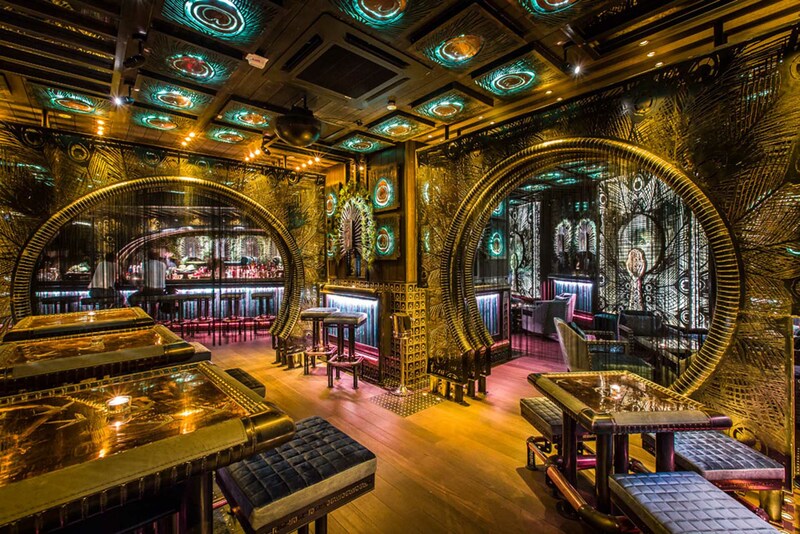 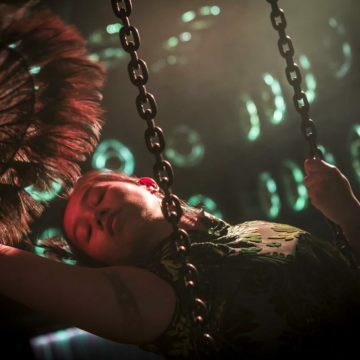 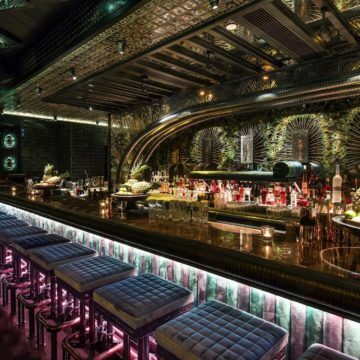 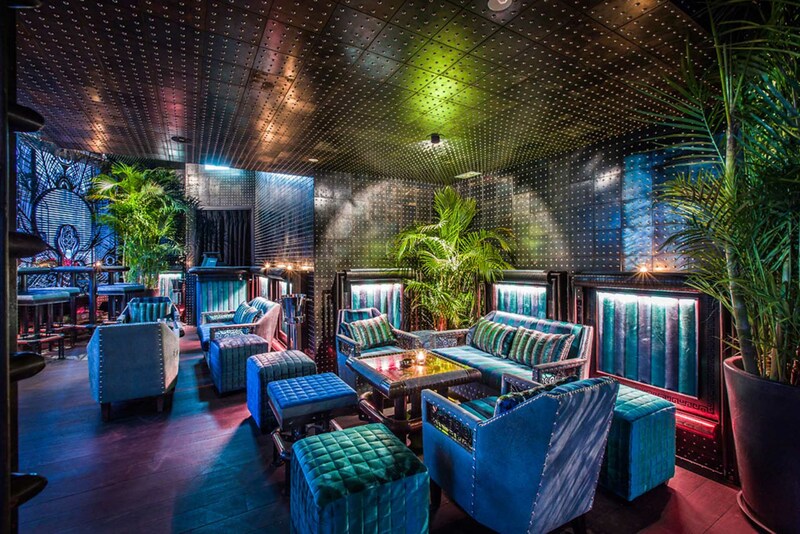 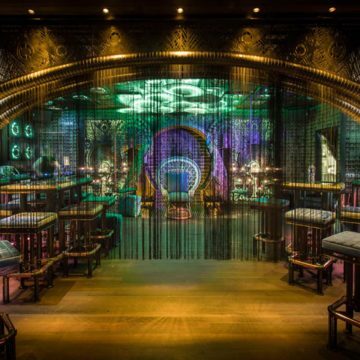 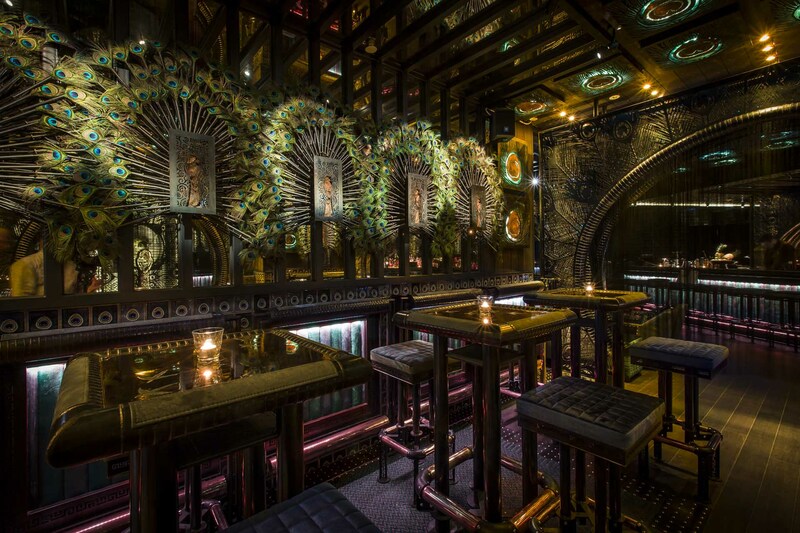 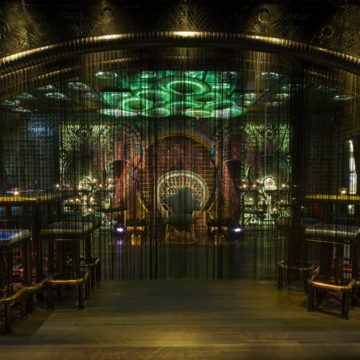 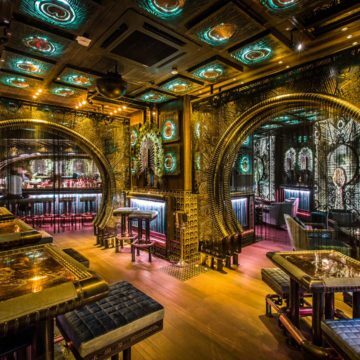 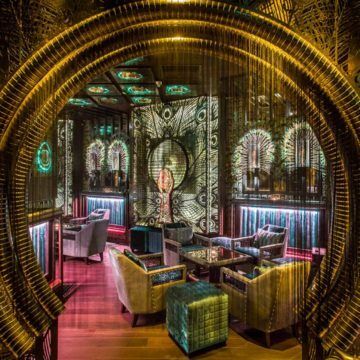 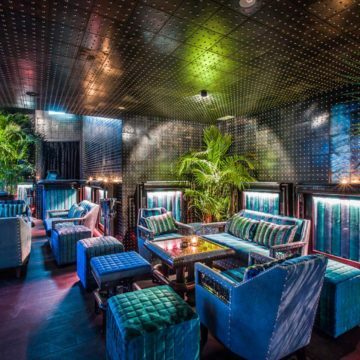 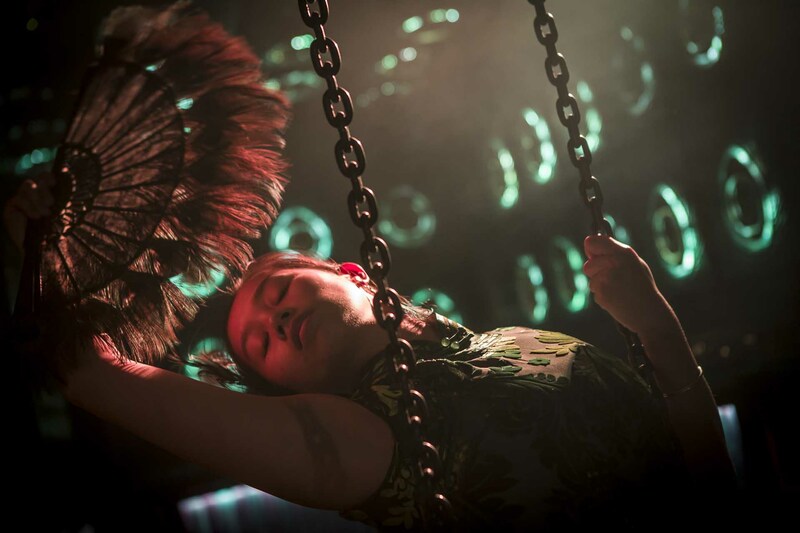 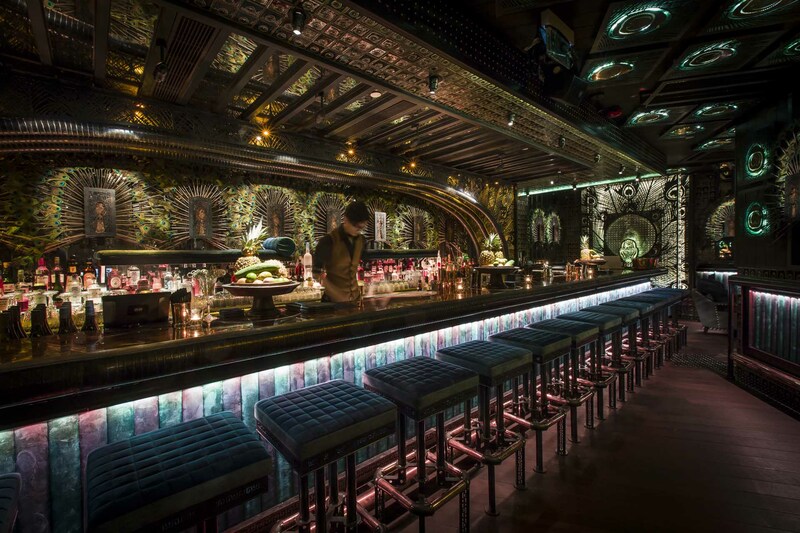 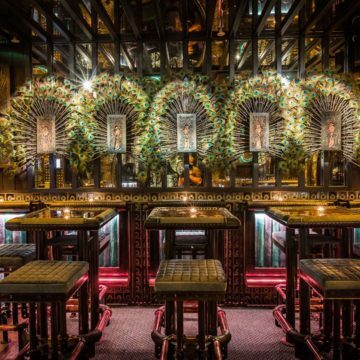 Set in a bygone era of the Far East, the bar is all about escapism – from the moment you set foot in the sumptuously decorative environment, you’ll feel like you’re entering a completely different world, harking back to Hong Kong’s heady opium den days. 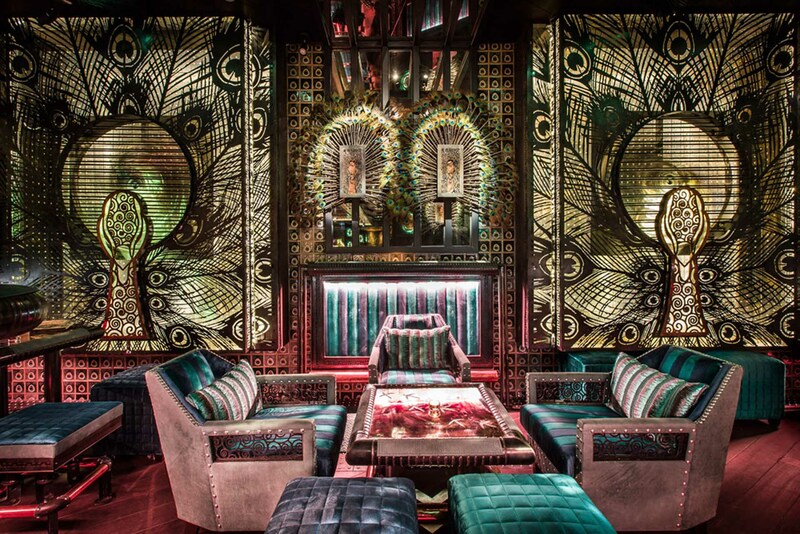 Even when you go into a bar with no expectations, Ashley Sutton interior designs leave you breathless with surprise. 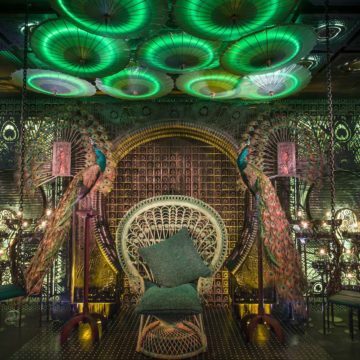 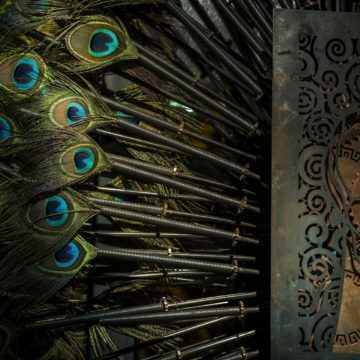 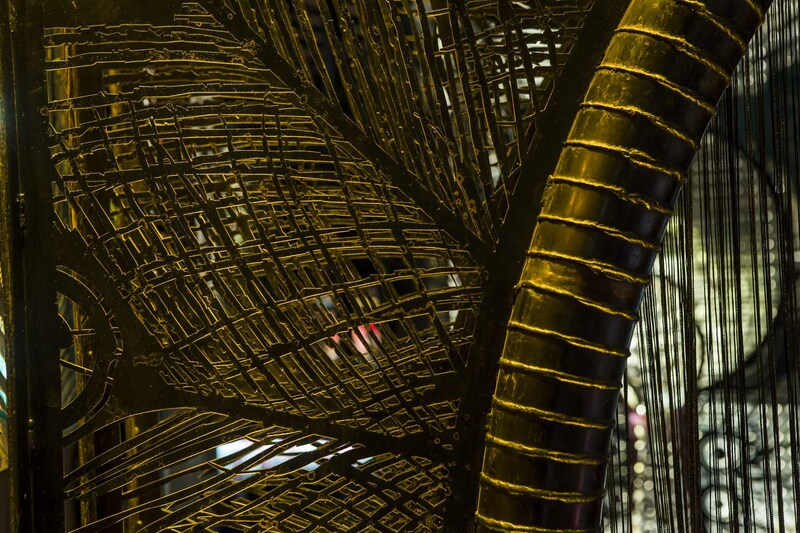 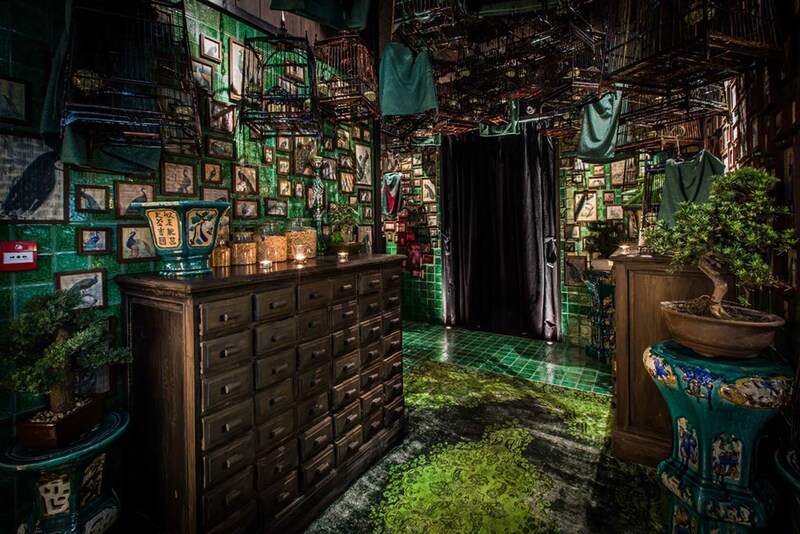 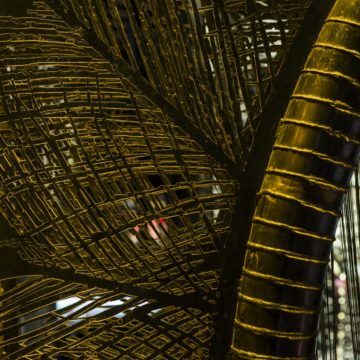 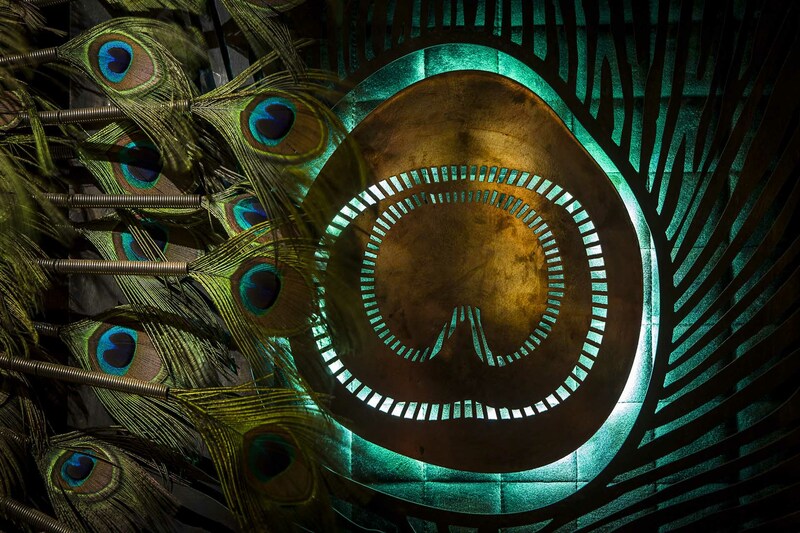 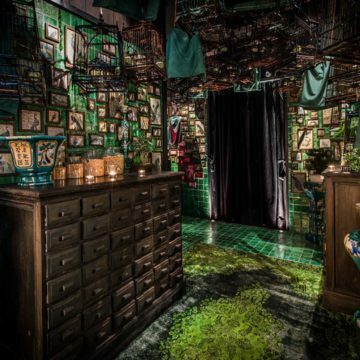 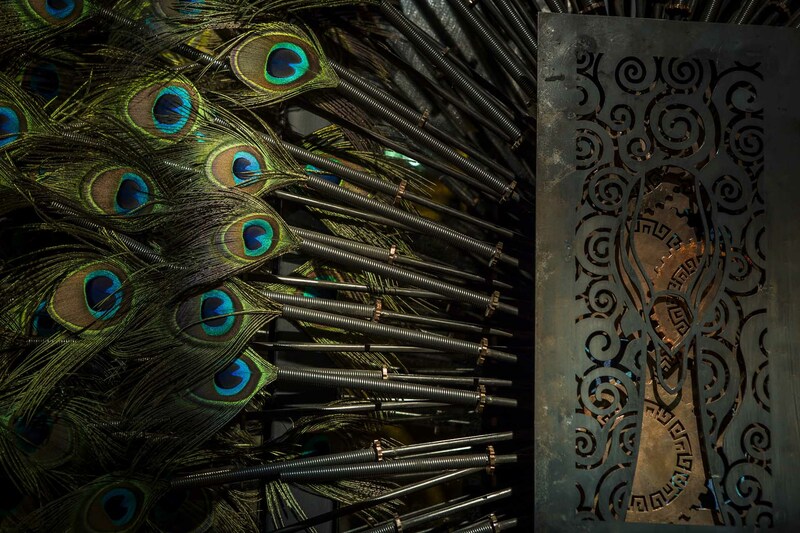 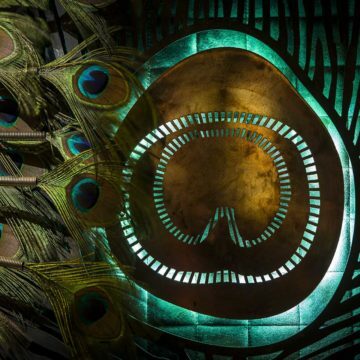 From thousands of real peacock feathers to 600 000 hand-painted tiles, there are lots of surprises and naughty things chosen to create a sense of fun and decadence. 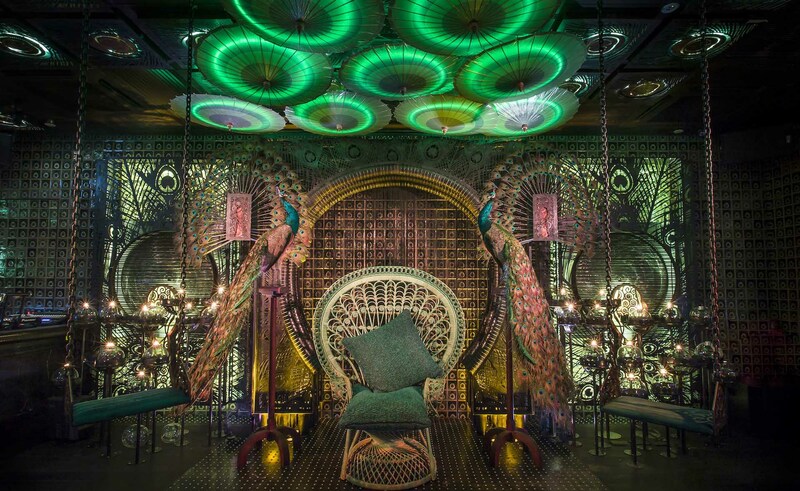 Beaded curtains open to swings and cages swinging from the roof, where choreographed dances and performances leave you mesmerised. 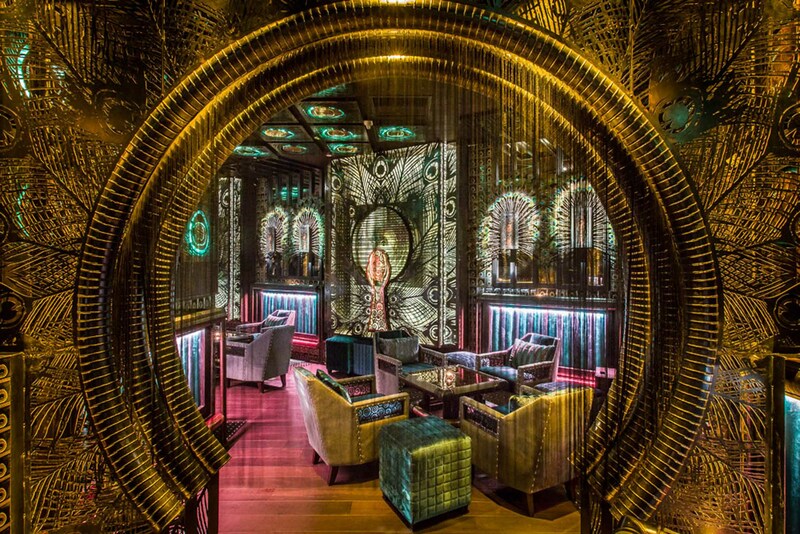 Live chanteuses lay spread across lounges suspended above the bar. 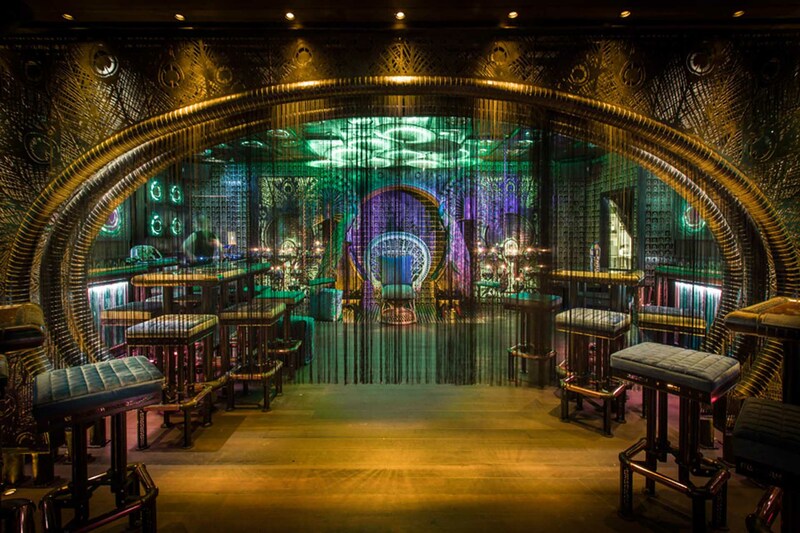 The menu is decadent too – littered with fancy and exotic-sounding cocktails like the Cheongasm and the Jade Cat. 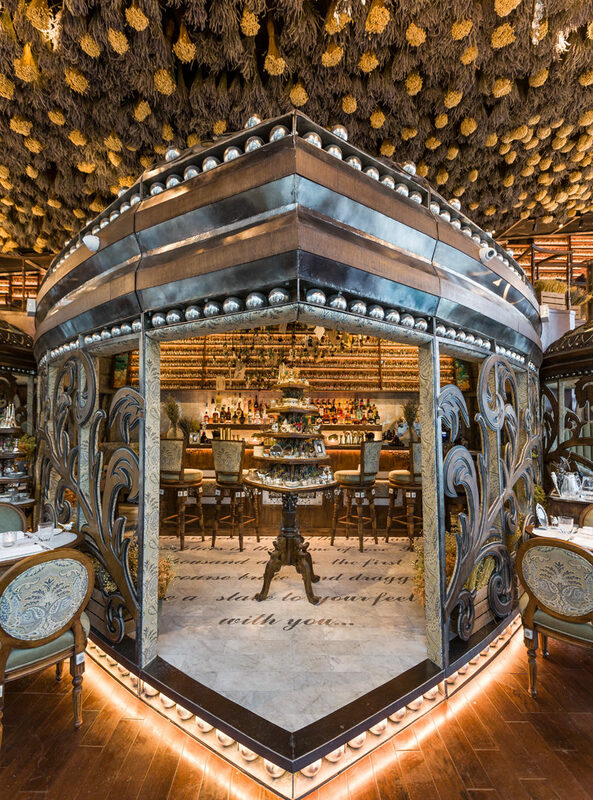 Ash Sutton’s design vision is to create something timeless, something that people remember – and with Ophelia, he combines old-world intrigue with modern design for a thoroughly unforgettable experience. 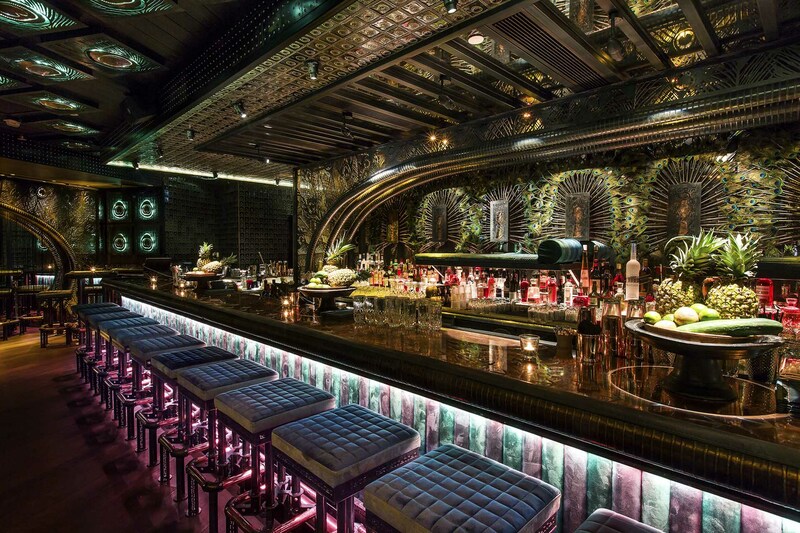 Please contact Ash Sutton for more information about Ophelia or his other interior designs in Hong Kong.